Roulette. The Queen of the casino games. This is the only one game which could be played by absolutely anyone, whether at land based or online casino. Its rules so simple, that it will take only few minutes to learn. 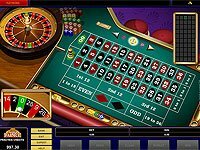 As for the way you are going to play roulette online, there are so many betting strategies and systems, that you may chose the new one every day. 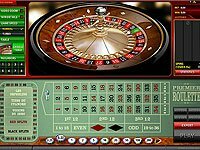 To say the truth, most of these roulette systems are whether too complicated, require extremely large bankroll or just absolutely useless. But you still can find many betting systems which could be worth of trying. 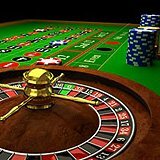 This betting system is veeery simple, and could be named as the very first strategy for roulette. All you have to do is just select your favorite color at roulette table, and start betting on it until you win, doubling your bet every time you lost. To simplify the explanation, let’s use an example. 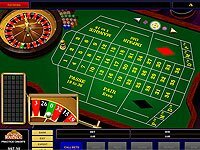 Imagine that you found decent online roulette, registered at online casino, made a deposit (maybe with the bonus money) and opened roulette table. The minimum possible bet for “Red/Black” is set to $5. So, you are making a $5 bet on Red, the ball landed on 26, and you lost your $5. If you are using Martingale system – the next spin you will have to bet $10 bet on Red instead of betting only $5. You’ve got 28 (Black) and it does mean that you lost again. Your next bet will be $20 on Red. And after the ball landed on 32 (Red) – you won your $40 (got your $20 back, covered previous losses of $15 and won additional $5). That’s all.